The Falkland Islands (or Islas Malvinas as they are known in Argentina) are a group of 750 remote and ruggedly beautiful islands in the South Atlantic Ocean, 500 kilometres from South America’s southern Patagonian coast. Steeped in decades of controversy, these Islands have been settled and claimed by France, Spain, Britain and Argentina. Travel to the Falkland Islands will give you an insight into the area’s fascinating history and reveal some of the haunting relics and memorials of war. Antarctica cruises featuring tours to the Falkland Islands allow you to explore these sparsely inhabited islands, with their windswept terrain, coastal wetlands, beautiful white sand beaches and dramatic rock faces set against stunning skies. The Falkland Islands are a haven for wildlife featuring huge colonies of fur seals and elephant seals, immense populations of black-browned albatrosses and other abundant birdlife including five species of breeding penguins. 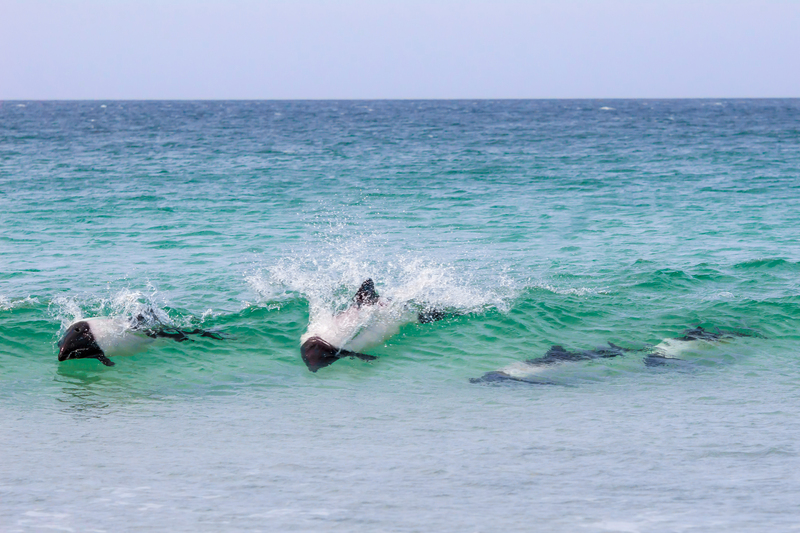 The best time to visit the Falklands varies based on what you want to see and do. Which is why Chimu is here to help you decide. Summer is the best time to see young penguins and seals. 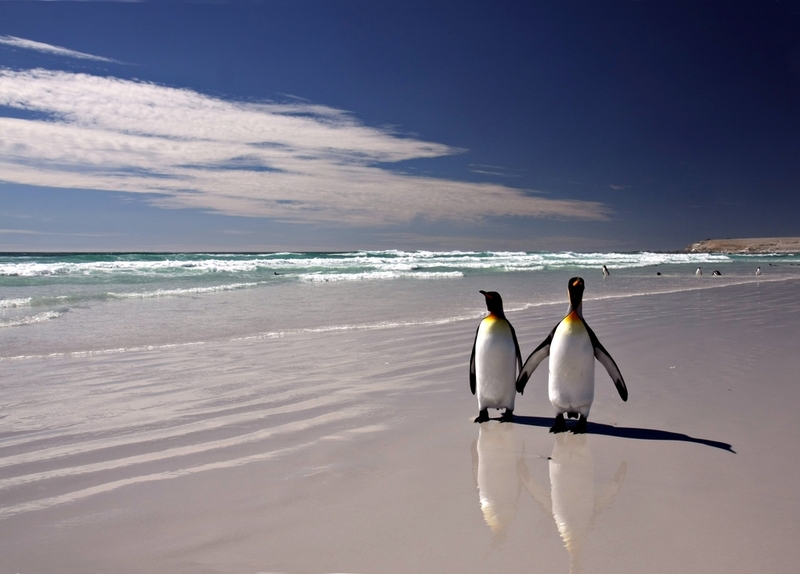 These are possibly the best months to visit the Falkland Islands as temperatures are on average 13°C with long and clear days. This is prime penguin hatching season, and you can see seal pups taking their first steps onto the ice floes. Also, toward the end of this period, whale watching season is beginning. Although these months are considered the Falklands peak tourist season, it’s important to note that the Falklands are not set up as a high influx tourism destination. The limited infrastructure adds to the natural allure of the islands. The warmer climate during this time also makes it the best time to coordinate your trip with an Antarctica cruise as the summer in this part of the world leads to mild ocean currents and conditions for outdoor activities are much better. Autumn is ideal whale watching season. During this time, the tourists and some of the wildlife start to leave for the winter, enabling you to enjoy some solitude away from the crowds. In March, the penguins are moulting whilst the elephant seals are lounging around on the beach so if you want to take photos of penguins we recommend going earlier in the season. However, these months are perfect for whale watching, with some people even reporting having seen whales of all kinds of species every day of their trip. 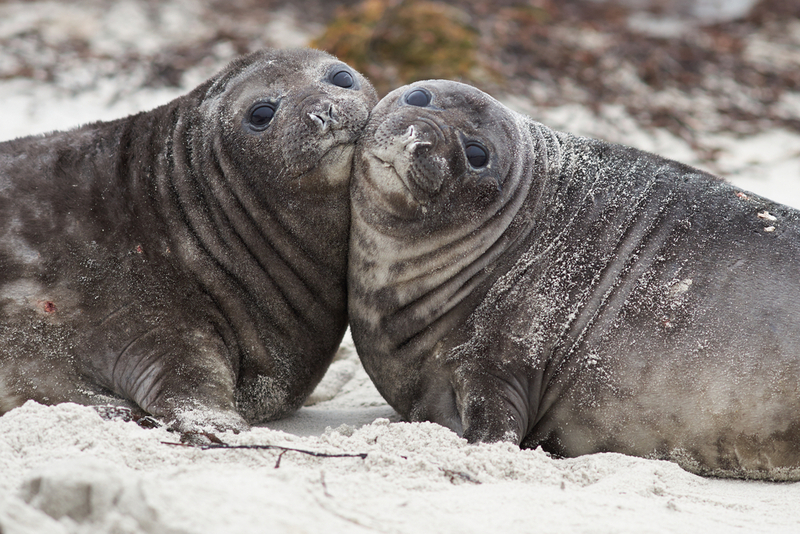 Generally though, if you want to see penguins nesting and the elephant seals breeding – go at the beginning of the season. Winter in the Falklands brings a whole heap of wind and rain, creating a bleak and unwelcoming wilderness, with temperatures dropping to -50°C. Although some people do visit the Falklands en route to Antarctica, they usually only do so for filming opportunities in Antarctica. Unless you have a specific reason for travelling here, we wouldn’t suggest it for your holiday. Spring is the start of breeding season for the seals who come to the island. With the beginning of spring comes the start of the mating season for the innumerable amount of wildlife populations on the islands including; penguins (five different breeds), sea lions, elephant seals and numerous varieties of birds including black-necked swans and several birds of prey. Take note however that it will still be quite cold, with an average temperature of 9°C, reminding you just how close you are to the Antarctic. The key advantage of travelling to the Falkland Islands at this time, is that this season is still less busy compared to the summer – enabling you to escape the crowds of tourists. Do you want to meet hundreds of penguins, seals and whales? Then check out our expeditions to the Falkland Islands and contact us for more information. This 18-day voyage immerses you into the rich and abundant wildlife of the Falkland Islands and South Georgia.